The radical search for the simple life in today’s America. On a frigid April night, a classically trained opera singer, five months pregnant, and her husband, a former marine biologist, disembark an Amtrak train in La Plata, Missouri, assemble two bikes, and pedal off into the night, bound for a homestead they've purchased, sight unseen. Meanwhile, a horticulturist, heir to the Great Migration that brought masses of African Americans to Detroit, and her husband, a product of the white flight from it, have turned to urban farming to revitalize the blighted city they both love. And near Missoula, Montana, a couple who have been at the forefront of organic farming for decades navigate what it means to live and raise a family ethically. 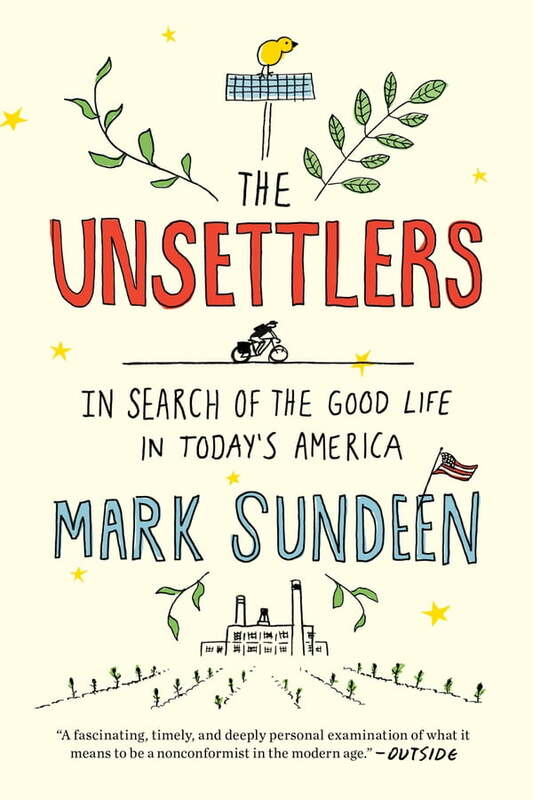 A work of immersive journalism steeped in a distinctively American social history and sparked by a personal quest, The Unsettlers traces the search for the simple life through the stories of these new pioneers and what inspired each of them to look for -- or create -- a better existence. Captivating and clear-eyed, it dares us to imagine what a sustainable, ethical, authentic future might actually look like.